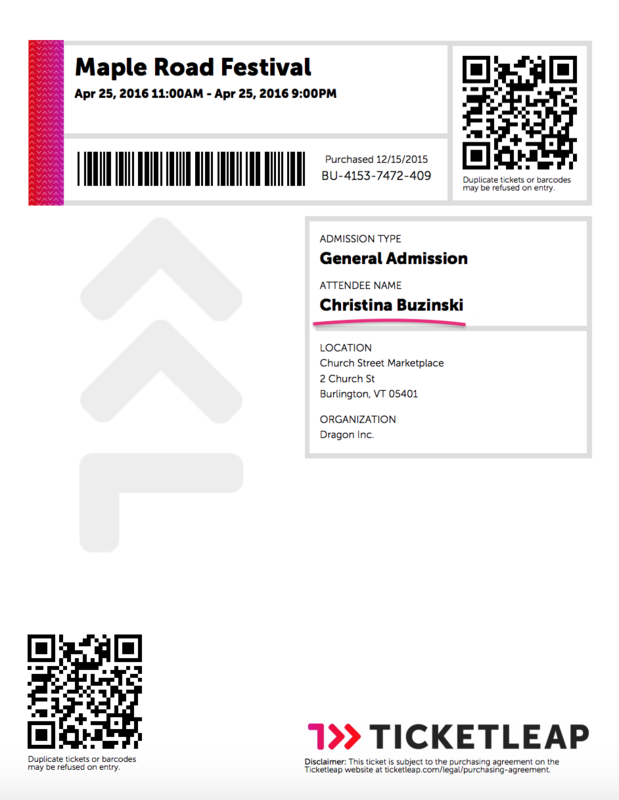 You may decide you would like your attendees' names printed on the ticket. First, from the Event Home click Registration Questions. Next, click on the Add Attendee Question button. Then, click the Existing tab and check off the First and Last Name option and click Import. 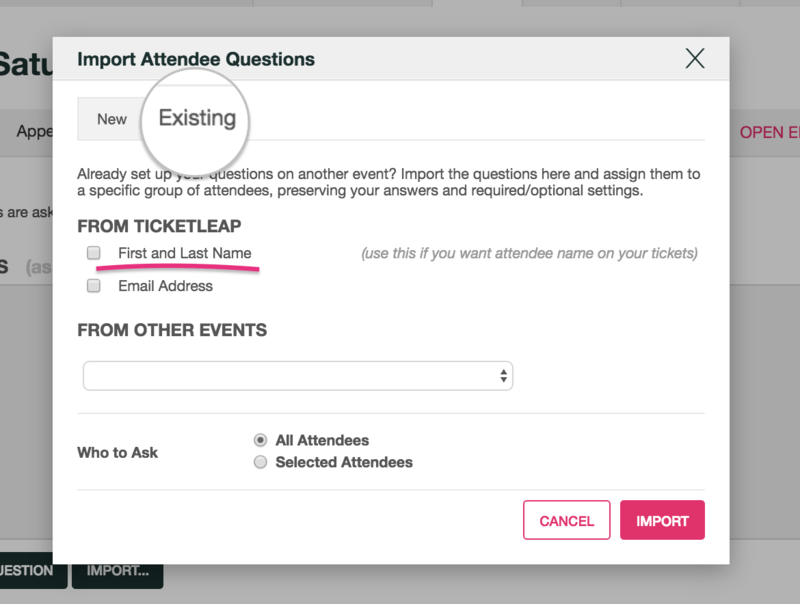 As see you on the right, by clicking this option, attendee names will appear on the ticket.